Siobhan Berry of MummyCooks.ie shares a delicious recipe for the whole family. 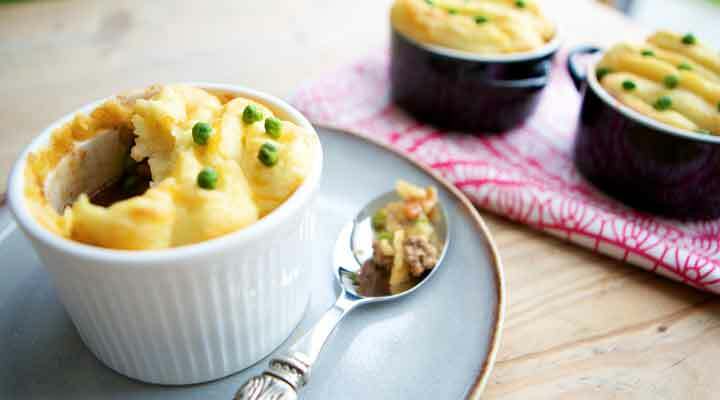 A delicious shepherd's pie suitable for the entire family, including baby. Heat the oil in a medium saucepan, then soften the onion and carrots for a few minutes. When soft, turn up the heat, crumble in the lamb and brown. Mix in the cinnamon, add the tomato purée, then fry for a few minutes. Pour over the stock and add the thyme, bring to a simmer and cook for 30 minutes. Meanwhile, heat the oven to 180C. Steam the potatoes and parsnips for 15-20 mins until tender. Mash the parsnip and the potatoes together then mix in the cheese and butter with a splash of milk. Stir in the frozen peas with mince before portioning out into ovenproof dishes, pipe on the mash and top with a few more frozen peas. The pie can now be chilled and frozen or bake for 20-25 minutes until the top is starting to colour and the mince is bubbling through at the edges. Leave to stand for 5 mins before serving.